Whenever there is confusion, miscommunication, or misunderstanding, there is the chance that a claim goes from amicably settled to confrontational and litigated. 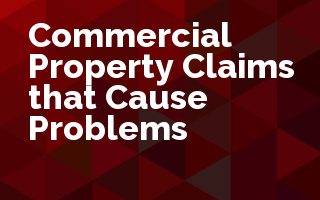 Join us as Terry Tadlock walks us through a series of commercial property claims that weren't settled quickly or easily. He's going to help us understand how we might avoid a similar situation with our customers. This course examines risks that we write every day and the actual property claims that have causing problems for agents and their insured’s. These claims have resulted in litigation or out of court settlements. All of these claims will be reviewed from the standpoint of how they could have been avoided and the tools the agents need to prevent them from happening.